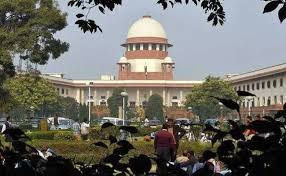 The Supreme Court today sought the response of the Centre and the Bihar government on the alleged sexual abuse of minor girls at a shelter home run by a state-funded NGO in Muzaffarpur district. A bench of Justices M B Lokur and Deepak Gupta took cognizance of the matter and expressed concern that the alleged victims of sexual assault at the shelter home were subjected to media interviews again and again. The bench, which issued notices to the Bihar government and the Centre, also restrained the electronic media from telecasting images of the alleged victims even in a morphed form. It asked the media not to interview the alleged victims, saying they cannot be compelled to relive the trauma again and again. The top court said the probe agency would take the help of professional councillors and qualified child psychiatrist in questioning the victims. It directed the CBI to carry out a forensic examination of the shelter home.